Linfield forward Paul Smyth is set to complete his transfer to English Championship side Queen's Park Rangers on Monday, subject to a medical. 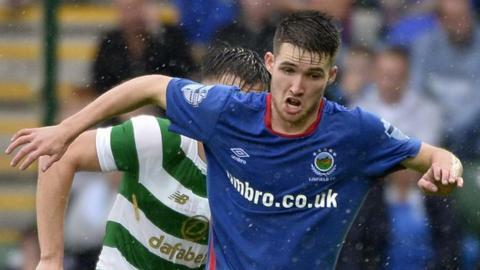 The clubs have agreed terms for the 19-year old, who played in Linfield's 1-0 win over Ballymena United on Saturday. "I am pleased that Paul will is going to get his opportunity subject to a medical.," said Blues boss David Healy. Everything else seems to have been agreed. He has the ability but the hard work starts for him now." "He has been a shining light for us and gave us a spark when he came into the side shortly after I was appointed manager." Smyth helped Linfield to a league and cup double in his first full season as part of the senior squad and is part of the Northern Ireland Under-21 panel.